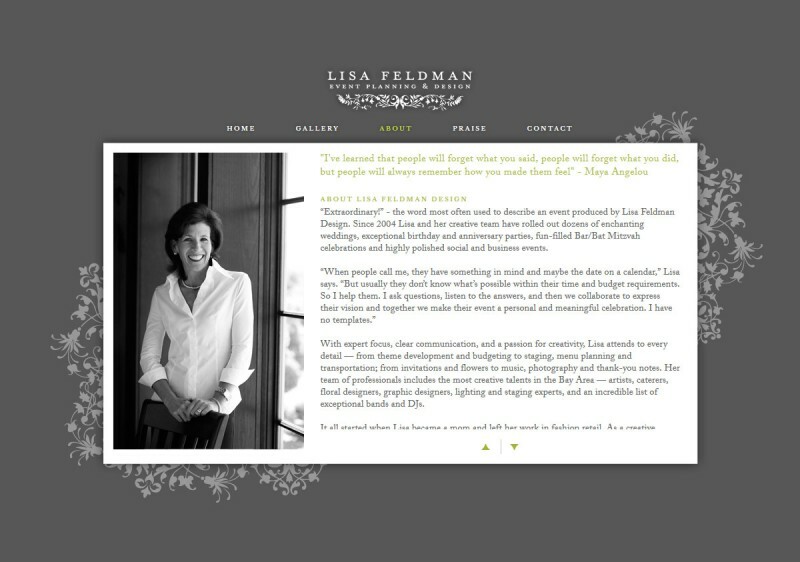 Now accessible on all devices, we rebuilt Lisa’s site with new technology and the same fantastic design. It opens with a bright pop of orange to match her energetic personality. 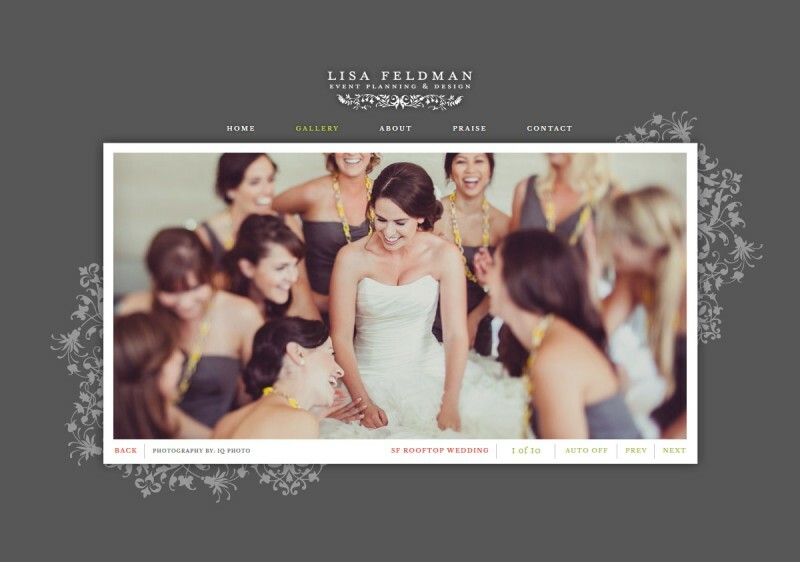 Then fades into a warm grey to support the bold color of her events. 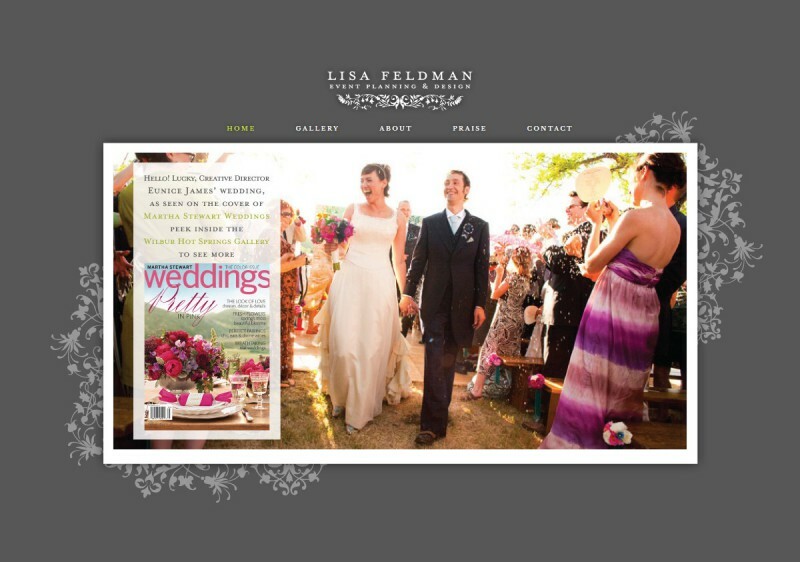 A center stage menu shows an impressive list of events and her galleries boast a bounty of fabulous images. 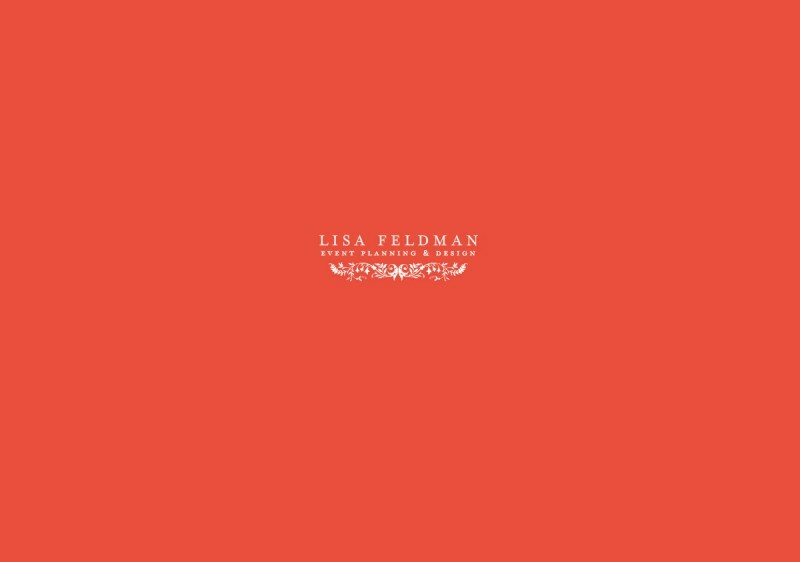 Praise from an extraordinary list of acclaimed individuals proves that Lisa’s passion and ability to push the creative envelope is unmatched in her industry. No words can describe my appreciation for Deb Wagner at dstripe. I was stuck. 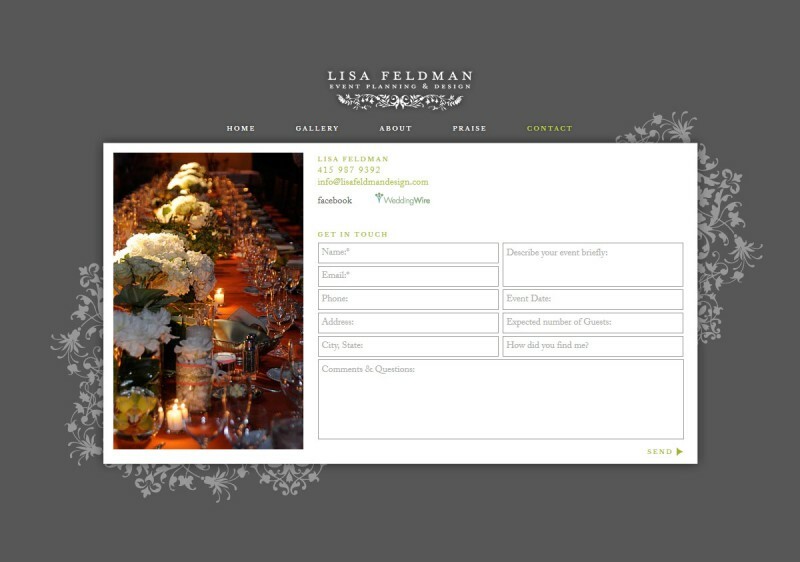 I didn't know how to make a website work for my needs. 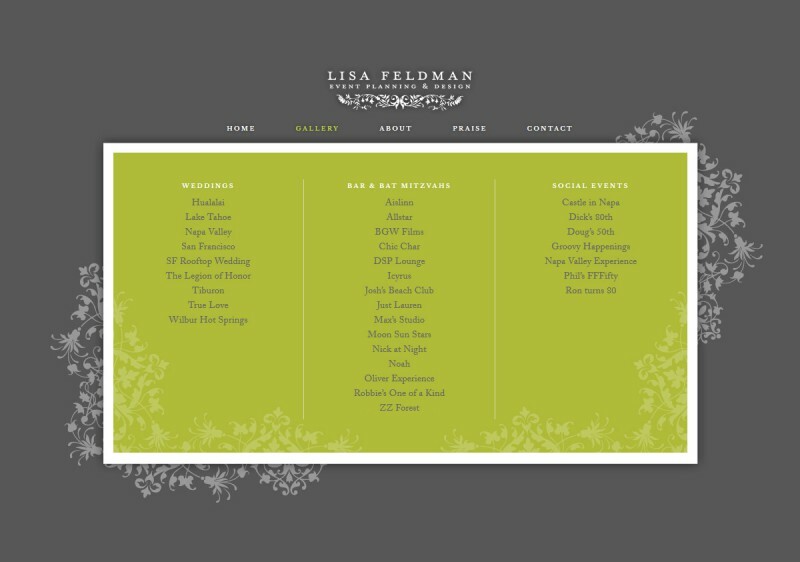 I checked out the designer on several of the websites that I liked, and realized that Deb's sites were it! Once I contacted her- I knew I was on the right track. Deb is incredibly patient and collaborative. She gave me great suggestions. She completely nailed the exact design I was looking for. Her ideas were AMAZING! Deb advised me on the entire process and I will be forever grateful to her. 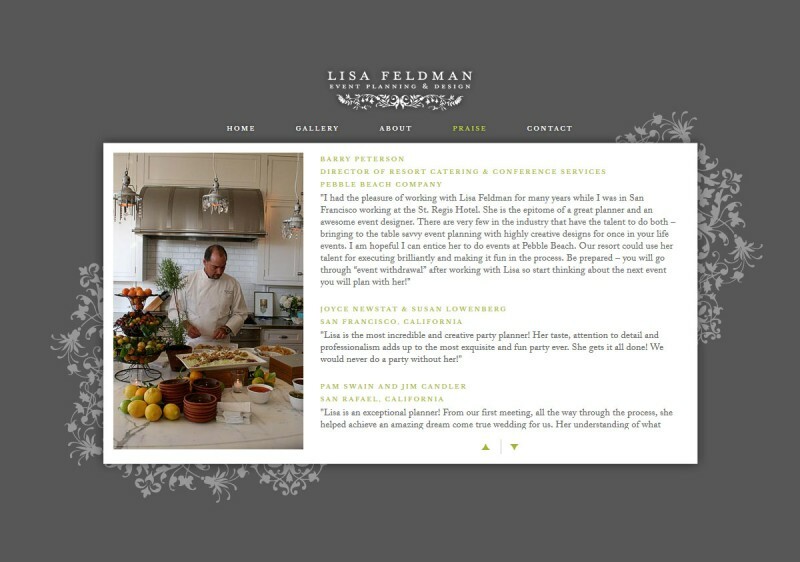 Of all the things I have done with Lisa Feldman Design, having Deb create my website is at the very top of my list. If I could give her a grade it clearly would be an A+.